Are you wanting to encourage a love for reading while stimulating your toddler’s senses? 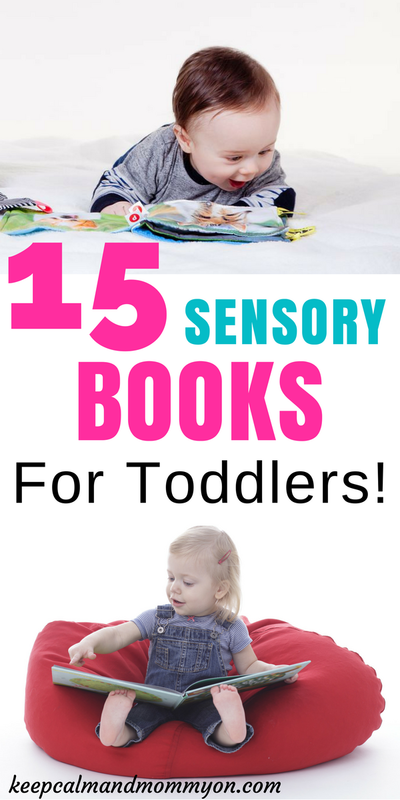 These 15 sensory books for toddlers will accomplish both! Sensory toys and books are excellent for helping children to focus their attention, relieve stress, and to release bound energy! Sensory toys are toys that stimulate one of the five senses: sight, sound, touch, smell & taste. These 15 sensory books will help to not only stimulate your toddler’s senses, but to encourage a life long love for reading! These 15 books encourage focus, attention, and provide your toddler with stimulation of sight, sound, touch and smell! If you would like to find additional books for toddlers that make excellent bedtime stories be sure to read 15 Must-Have Toddler Books! Most of these sensory books are books that my children have all loved as toddlers! They are very entertaining and educational! This is a book that my kids all read and played with as toddlers! Feel the soft fur of the bunny, and the fuzzy wool of the lamb in addition to other animals. A great texture book for toddlers! This book is wonderful for the sense of sight! Literally see the animals come to life with this scanimation book! The horse actually gallops, The rooster actually struts, and the turtles actually swim! Check out this book to see for yourself all the animals in motion! In my post 15 Must-Have Toddler Books, I mention several Eric Carle books. This book, however, is a combination of a classic book and sound! Push the buttons that match the brightly colored pages to hear what the animals sound like! This book includes, in addition to its brightly colored pages, the sounds of 30 animals that might be found on a farm! What a great way to include sight and sound sensory stimulation! This book stimulates not only sight, but touch and sound as well! It says the words out loud, has brightly colored pictures, and has different textures for each picture. What a great learning tool for your toddler! I have two boys, and they love dinosaurs! Especially my oldest. When he was a toddler he was obsessed with dinosaurs! This book allows your child to touch the bumpy scales, smooth horns, and sticky tongues of dinosaurs! This one not only includes different textures for your toddler to feel, but the sounds of dinosaurs as well! Dinosaurs aren’t the only animals that are noisy! Touch and feel the farm animals and hear the sounds that they make! This cloth activity book has it all! This book is the ultimate touch sensory book! It contains hard moving parts, soft cloth, stimulating pictures, non-toxic materials, and is washable! The perfect first learning book! Practice animal recognition and sounds, and help your toddler to learn what an animal may feel when like when it’s touched. Pet a dog’s soft fur, stroke a baby chick, and tickle a soft kitten. It’s a visit to the farm! That’s Not My Bunny is a book that my kids enjoyed as toddlers. It explores the textures of different parts of the bunny such as it’s rough paws and shiny eyes! A great book for kids, especially for Easter! Our copy of this book is pretty worn out. That’s because every one of my kids have read this book as toddlers! It was a touch and feel book that they all really enjoyed! Feel the different textures such as the lions furry mane and his fuzzy nose! Make the bee buzz and fly with this finger puppet! Little fingers will love to play with this finger puppet as you tell the story! I saved my favorite sensory books for last! Pat the Bunny is a classic book that not only stimulates the sense of touch, but the sense of smell! That’s right, this book has a page that actually has scent for your child to smell! I love the pictures of this book. Like I said, it’s a classic! The sequel to Pat the Bunny! In this book Bunny visits the zoo! Feel all of the animals that the bunny sees. Such as the feathers of the parrot and the fur of the panda! A great sensory touch and feel book for toddlers! And those are the best sensory books for toddlers! Does your child already have some of these books? Which ones are their favorites? 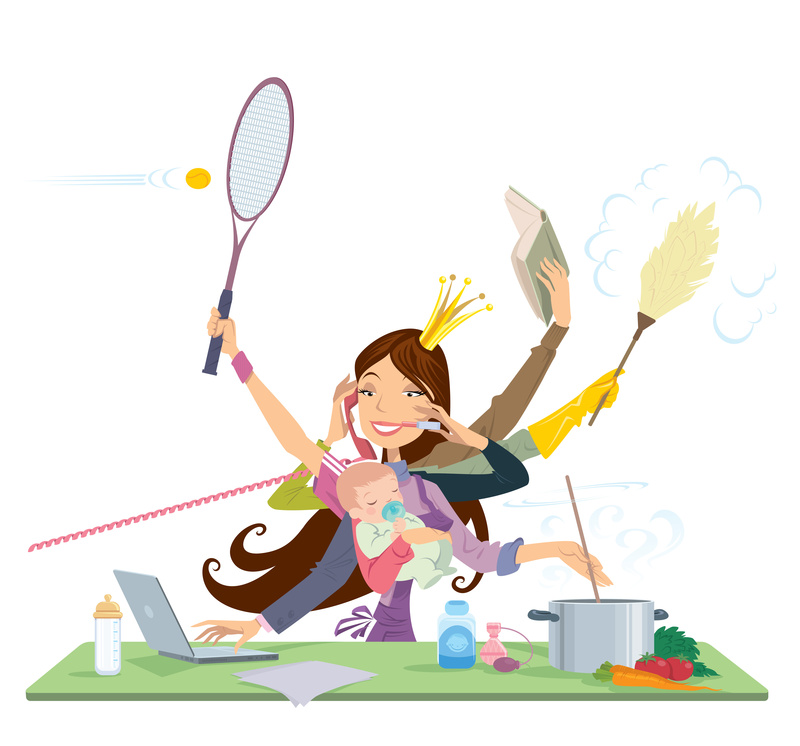 Do you have any books to add to the list? Leave me a comment and let me know! I’m always on the lookout for new books to add to our collection! For more sensory fun be sure to check out the 10 Must-Have Sensory Toys For Kids! « 15 Must-Have Toddler Books!